The good news is that you can do just that with the help of our board certified ophthalmologist who has also completed a fellowship in oculoplastic surgery. Since 1989, the Food and Drug Administration (FDA) approved the use of BOTOX for the treatment of two eye muscle disorders: Blepharospasm, frequent blinking, and strabismus, crossed eyes. Ophthalmologists and oculoplastic surgeons have had significant experience with using BOTOX for medical reasons. BOTOX is a sterile, purified protein that is produced by the bacterium called Clostridium botulinum. In small doses, BOTOX is injected into muscles to temporarily paralyze or weaken them, thus preventing or limiting these muscles from contracting. For 18 years, these injections have successfully treated patients with blepharospasm and strabismus. With the long history of successfully treating medical disorders with BOTOX, the FDA expanded its review to study its safety and effectiveness in treating cosmetic problems. In 2002, the FDA approved BOTOX Cosmetic to treat moderate to severe frown lines between the eyes, called glabellar lines. This approval followed clinical studies that demonstrated BOTOX safely and effectively reduced these frown lines for up to 120 days. In its approval, the FDA noted that BOTOX Cosmetic is a prescription drug that should be used under “medical supervision”. Unfortunately, this is not always the case. You won’t have to worry about who is treating you at Kadrmas Eye Care New England. At our practice, BOTOX Cosmetic is only administered by our board certified ophthalmologist who also completed a residency in oculoplastic surgery. In a 10 minute treatment, our oculoplastic surgeon will administer a series of tiny injections into the muscles between your eyes. 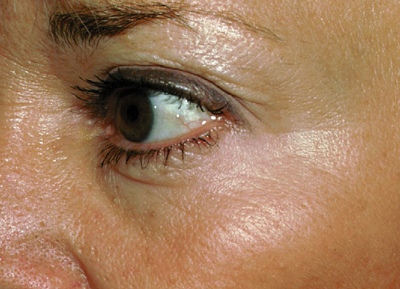 The injections prevent or minimize the contraction of the muscles causing the frown lines. Although results can vary, the improvement becomes apparent in the first few days after treatment and can last up to 120 days. BOTOX can also be used to treat crow’s feet near the eyes and creases in your forehead. Some studies have demonstrated that BOTOX can reduce the symptoms of migraine headaches, excessive sweating, and muscle spasms in the neck and shoulders called cervical dystonia. The FDA has approved the use of BOTOX for cervical dystonia. However, the use of these injections for migraines and excessive sweating are not yet approved and are considered to be “off-label use”. BOTOX injections do not require anesthesia or follow up treatment. Your oculoplastic surgeon may first numb the injection site with a cold pack or topical anesthetic, and you will feel little or no discomfort during the treatment. Immediately thereafter, you will be able to resume your normal activities, even returning to work. 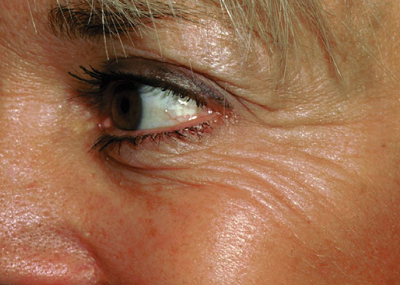 BOTOX is an excellent, non-surgical option to improve the cosmetic appearance of your face and eyes. Although usually not covered by insurance, you have the opportunity to have this non-surgical procedure done safely, comfortably and economically in our Plymouth office. The most common side effects of BOTOX injections are minor bruising and swelling at the site of the injection, as well as headaches. There are rare cases of allergic reaction to BOTOX. You should seek immediate medical attention of you develop a rash, itchiness, difficulty in breathing, or other symptoms of a major allergic reaction. If you are like most of our patients, you will look like a “better version of you” following your treatment with BOTOX Cosmetic. Call for a consultation with our ocular plastic surgeon.